So I have been having a lot of fun lately! I guess you could say I’ve had Frozen on the mind of late! I have been continuing with my series on youtube reviewing the animated Oscars nominees and having a blast and knew that 2013 was coming up. In my Disney Canon review on my blog I admit I was a little defensive. 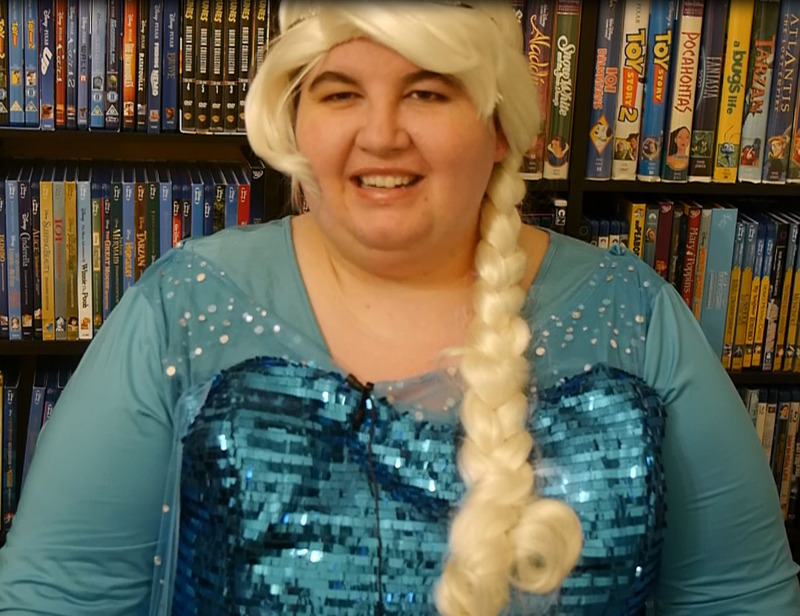 I had just seen a lot of Frozen trolling on youtube and blogs and it made me sad. Not that everyone has to think the same way about a movie I love but that they had to be so vicious about it- especially to young girls who love it so much. That really bummed me out. So I knew 2013 was coming up and I wanted to strike a different tone and have fun with my Frozen review- trolls be darned! I worked really hard on my costume, wig and the review itself (and the other high quality 4 films I was looking at as well). 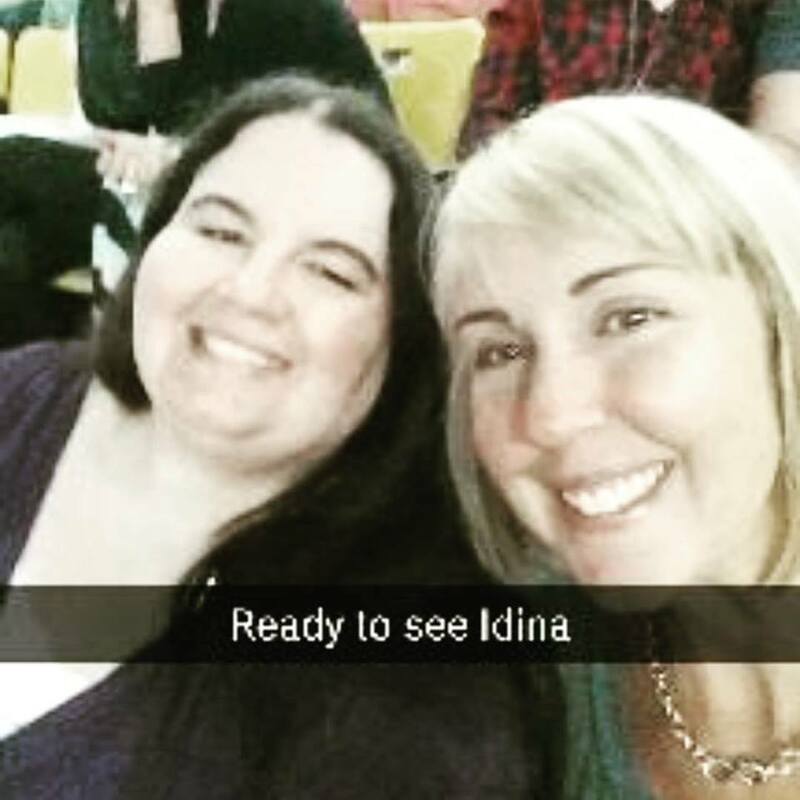 I also went to an Idina Menzel concert which definitely put me in the mood! My friend Heidi went with me and we had such a good time hanging out and enjoying good music (although the building was organized terribly it was worth it). and the highlight for me was when she sang Let it Go and then invited little girls from the audience to come up and sing with her. It was the cutest thing I’ve ever seen and shows what a great thing Frozen has been for these young girls. It reminds me of how I loved Little Mermaid growing up. I mean if that doesn’t melt your heart I don’t know what is wrong with you! But really every song she did was amazing including some great Broadway standards. I swear if I could have any gifts it would be to be able to sing like that. Awe inspiring! 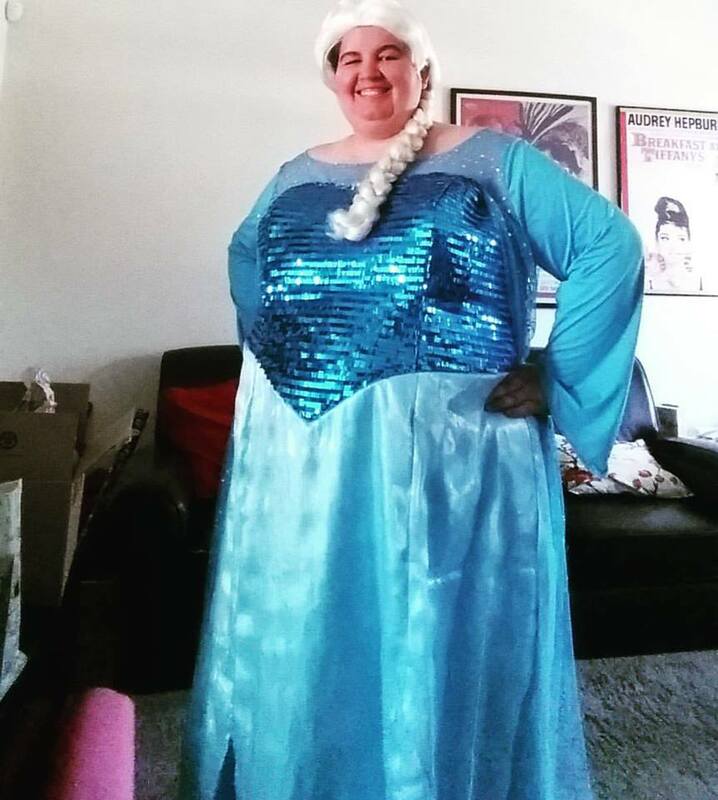 So with that inspiration I continued to work on my costume and it really was a lot of work to find the right dress, get the right wig, a crown, make-up etc. But obviously it was a fun kind of work, a project you might say. Here is what I came up with. Here’s how the video turned out. It’s a bit of a long one but give it a watch or just a few minutes of it a watch as I do the Frozen review first. I’ve been learning a ton lately on graphics and using Adobe Premiere so I think my videos have come a long way! Anyway, it was a ton of work to put together but also a ton of fun. I’m really proud with how it all turned out. Now on to the next project! Star Wars baby! Have you guys been doing any projects or hobbies lately? What about Halloween? Got any costume plans?